The archives of Steel have been unearthed! 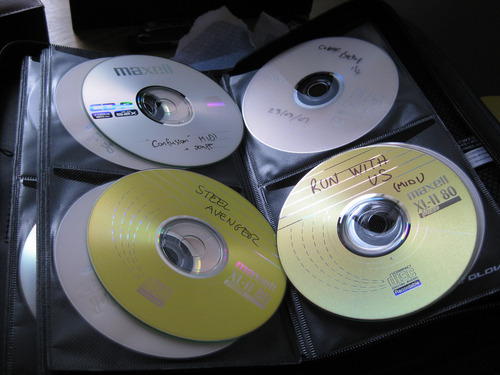 I spent most of the Christmas break rooting through box after box of badly labelled CD-Rs and DVDs, trying to find all the old Steel project files. I managed to locate about 90% of them, which I reckon is pretty good going! I’ll be working my way through these bastards for the next few months. After much deliberation, I have decided to re-record the entire Shaft of Steel back catalogue. It’s an absolute crime that these songs are going to waste, especially when there is so much awful crap clogging up the airwaves. This project will hopefully bring some form of relief to anyone out there who feels disheartened by the total shitfest that is music in 2011. P.S. Make sure you follow us on Twitter to stay up to date with all the latest developments!